The first Hungarian data journalism and hackday was organized by the Hungarian pop-sci portal Language and Science (Nyelv és Tudomány www.nyest.hu) and the Budapest Natural Language Processing Meetup with the generous support of Knight-Mozilla OpenNews, Precognox and Language Experts on the 6th of April at the House of Hungarian Journalism. Our speakers were national and international experts: journalists, developers and hackers; almost all devoted fans of Open Data. They gave short lectures on the future of online journalism and their work in the field of open data. Here follows our summary of all the interesting and thought-provoking talks we heard. In a way, Internet hasn’t really “revolutionized” journalism from the point of view of news organisations as independent news agencies, news portals do not accumulate as large revenues as in the time of classic print media. The first speaker, Stijn Debrouwere a Knight-Mozilla Fellow at The Guardian sketched the future of online journalism through a few interesting models of American news organizations. There’s a lot more happening in online media than one would think, but we don’t always recognize innovation as journalism. A good example is The Huffington Post’s interesting model in content-making: of course, the portal uses paid journalists, but also activists who write articles only because it’s good to be connected to the Huffington brand. Deseret Connect improved this model so that they offer a free course in writing for their volunteers. This means that they don’t have to pay their authors but still get quality content because their editors work with the authors throughout the publishing process. Some readers have decided that they no longer need journalists to tell them what is important. Reddit has a forum called Ask Me Anything which revolutionized the genre of interview as it allows anyone to register as an interviewee and other users can ask them questions. That the question arises whether this is at all different from traditional interview? And if not, how will this affect professional press in the future? Or, on a different note, you cannot help but wonder whether you still need review columns when Netflix, Amazon, Spotify and some similar pages recommend us volumes of movies, books and programs we might like. These are only a few innovations we should consider when thinking about the future of online journalism. According to Stijn the message is not that journalism is in danger, but that we have to expand our fantasy while thinking about what is the potential risks are. The question is: do we possess any information that the readers should know? How can we get it to them? This is what we have to find answers for. To watch the speech on Ustream, click on this link. As mentioned earlier, online news organizations struggle with financial difficulties because their main source of income is advertising, and in many cases this income will surely not be sufficient to maintain a newsroom. And here came a big contrast: Paywall claims their solution may be The Solution to this problem. Dávid Puha, marketing specialist at Piano Media talked about the advantages of Paywall, a virtual wall that helps to wall off your paying content. Of course, claims Puha, it’s not easy to imagine that it is possible to keep 100% of your readers if you offer paid content instead of free goodies, there is a chance for a minimal “waste” if you combine the right content, sales-channels, marketing strategy and technology. There are a great number of objections to Paywall: studies and statistics show that most readers just do not tolerate paid content. For example, in 2011 The New York Times had a campaign supporting paid content. A University of British Columbia survey showed that 81% of online readers would not pay for online news at all. Bummer. There are, however, news organizations that were able to successfully introduce Paywall-type of solutions on their site, Wall Street Journal for example has one million readers who pay for their content. The Times and The Sunday Times can be accessed online only for one pound. Various different models exist for paid content service, however it seems that for now it is only a possible solution for bigger papers. Another aspect: data has to be free! And then came the cavalry. „Open data is data that can be freely used, reused and redistributed by anyone – subject only, at most, to the requirement to attribute and sharealike.” This definition of open data can be found at the Open Knowledge Foundation’s website. 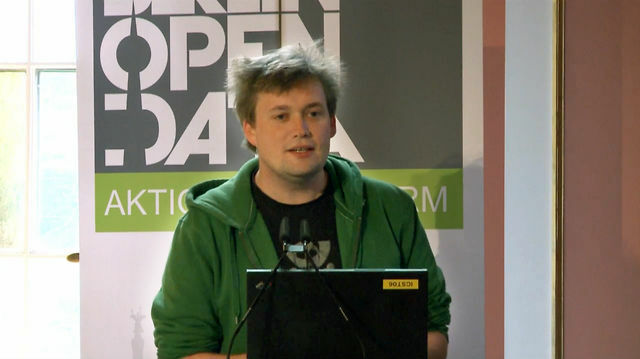 OKF promotes open data and open content – an interesting and colourful contrast to the views of the previous speaker. Michael Bauer of OKF chose the topic „why openness is a good idea for journalists”. He started with a proposition: think about how philosophers work! They use ideas of others, mix them, throw out what is unnecessary and create new ideas from what remains. Michael says online journalism should be like this: sharing source and content, so that readers and other journalists might reveal another interpretation of the story. For example, The Guardian has a data blog where they share visualizations of data and also their sources, so journalists can do their own leg-work and write the story from their own point of view. Also, OpenNews has a blog called Source Code where people working in the news business can share the code they created. Speaking about data journalism, it’s still not common for people to share their sources, but we are slowly and surely getting there. Péter Szekeres, lead researcher at Neticle Technologies, introduced their online opinion mining software through the example of how online media conceive Hungarian stocks and the BUX index. Their solution offers an index of opinion: they create this figure for the examined subject or person based on the general sentiment in the online networking sites, identify dramatic and less dramatic drops and try to determine opinion-setting actors or even comments, online events. The result is a number of picturesque graphs that can be published along your news item. Neticle analysed Hungarian online content in a 60-day long period and found that the web’s opinion about BUX-index illustrates punctually what has happened in stock exchange. Their results also show that people talk more about stocks when they trade more, and evidently, at weekends when there’s no trading, almost no one is talking about it online. Sándor Léderer represented K-Monitor Watchdog for Public Funds, which was founded in 2007 with the aim of creating an independent non-governmental forum that keeps Hungarian and international corruption-related cases at issue. 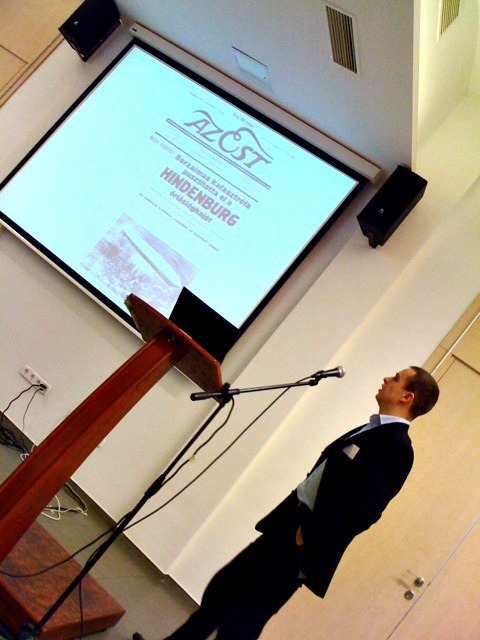 He introduced their new project which aims to set up the corruption map of Hungary. If you are interested in corruption cases, you may click on any area or town of Hungary, and are able to see all the corruption cases connected to them. Their main sources are articles (their database consists of 20.000 articles) and whistleblowing: anyone can send in a case they think is relevant. They also set up a tagging system, which makes it easier to find the case you are looking for. An on-going project is going to be a network aimed to show relations between companies, businessmen and politicians. Ildikó Kovács a journalist of atlatszo.hu (átlátszó means transparent in Hungarian) a watchdog NGO based in Budapest, Hungary that combines investigative journalism and civic activism to promote transparency in Hungary. She shared her experiences in investigative journalism and demonstrated how relevant data can be gathered and visualized in Hungary. She also introduced MagyarLeaks and KiMitTud, sites that claim and leak data of general interest. Among others she also expressed that the main problem in Hungary is the availability of data from government sources. Let’s go back to open source! Sourcefabric is one of the largest European source projects for news and media. They provide news organizations with open source software, expertise and support. Kristin Trethewey introduced Sourcefabric’s three projects that might help a lot for those who work in media. Airtime helps radios automatize their broadcast, with Booktype we can edit our own books until it becomes ready for printing, and Newscoop helps news organizations manage online publications, enrich content and find new audiences. Spiegel Online also has a Knight-Mozilla OpenNews Fellow in their newsroom. He is Friedrich Lindenberg a media scientist turned coder working on open government and transparency initiatives. In his speech he gave us ideas about understanding the European Union through data and he proposed to re-think how we cover government issues: what we do should preferably be data-driven. It might be an important step to develop story-engines that report automatically on events like baseball games, so journalists have time for more important matters. He introduced Parltrack, a European initiative that helps journalists interested in the EU: it collects and leaks documents from the European Parliament. According to Friedrich, the point is that we should report on actions, not words. Let’s search for databases, get the data we need and remember to turn it back into a story because that’s what readers expect, not Excel-charts. Ákos Balogh chief editor at mandiner.hu also put in a word for online news sites. He stated that with the help of like- and recommend-buttons Facebook and other social media sites have more information about a news site’s readers than the editors. This makes the competition uneven because rivals can get more information with the help of paid advertisements on Facebook. Balogh recommends online news sites to attempt to officially claim their site-specific information in order to stay ahead of the events. He even proposed that Mandiner might start legal procedures to try to obtain all data the social networking site stores about their readers. Should this happen, we hope we will be able to tell you about it here. We would like to thank Ustream for broadcasting inkLink live and also their representative, Dániel Kiss for his speech about the future of online streaming sites. He demonstrated how easy it is these days to stream important events with only a mobile phone in our pocket. To prove his point, he presented Tim Pool’s example, the journalist, who broadcast the Occupy Wall Street movement with his mobile phone for 21 hours, even though reporters were banned from the location. He won this year’s award for best social media journalist. During the hack-day three volunteers were working on an open source program, which is able to invoke a big quantity of text and visualize their associative relations through the links included. It might help journalists to reveal connections between not only articles, but stories and events. The program will be openly available for everyone shortly, in the meantime let’s watch the whole event on inkLink’s stream! It might be good news for those who could not attend inkLink2013 in Budapest that – thanks to the support of Ustream – we will be straming the event live! So, if you are interested but cannot come, watch the event online from 9:00 am CET on the 6th of April. If you cannot make it, do not worry, you can later watch it all again. We have now a – hopefully nearly – complete list of speakers for inkLink! In general, our guests are national and international experts: journalists, developers and hackers, all devoted fans of Open Data. They will be talking about the future of online journalism and their work in the open data field. Here follows a list of all those great people you can meet on the 6th! 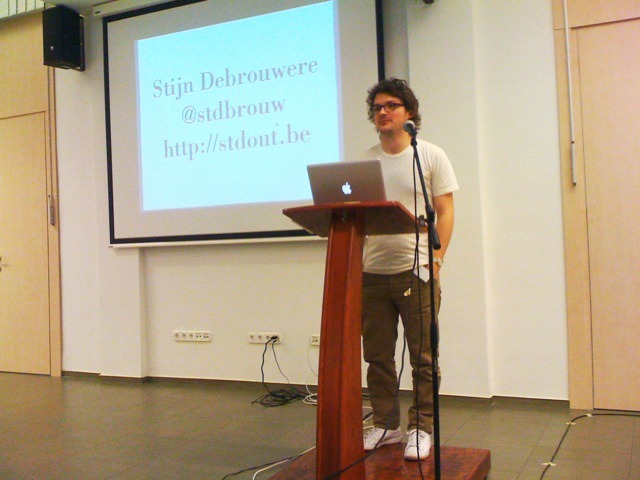 Stijn Debrouwere holds a masters degree in philosophy, but after graduating he learned how to code, and ended up as a freelancer, then a media consultant. During his college years he was a journalist and an editor at a student paper, and now, he is a coder and data scientist at The Guardian in London. He blogs about computer code and the future of journalism. He will tell us about the future of media and how civic coders, scientists and journalists can make the world a better, more informed place. What is an OpenNews fellow? The centerpiece of the OpenNews program, the Knight-Mozilla Fellowships embed developers and technologists in newsrooms around the world to spend a year writing code in collaboration with reporters, designers, and newsroom developers. Fellows work in the open by sharing their code and their discoveries on the web, helping to strengthen and build journalism’s toolbox. Knight-Mozilla Fellows share the work they’re doing with the world outside of the newsroom. By blogging their experiences, pushing code to open repositories, taking part in the OpenNews community calls, and engaging with other developers. 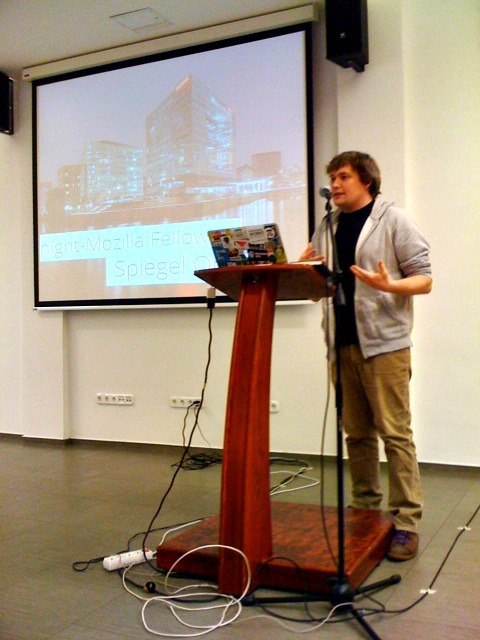 Friedrich Lindenberg is a Knight-Mozilla Fellow at Spiegel Online. He is interested in how web technology can be utilised to create new narrative and investigative techniques. He previously contributed to various projects at theOpen Knowledge Foundation, including OpenSpending, a platform that helps citizens across the to world to keep track of government finance. 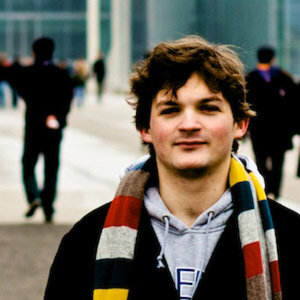 Michael Bauer started programming computers in his teens. He continued on while studying medicine and doing biomedical research. In research he noticed that he could handle research data easily while his peers had severe troubles once datasets got a little bigger. Thus he joined the Open Knowledge Foundations “School of Data” with the aim to spread data skills among people to help them gain insights from data to tell stories and change the world with it. Kristin Trethewey works with Sourcefabric, a non-profit organisation, that is one of the largest European open source projects for news and media. 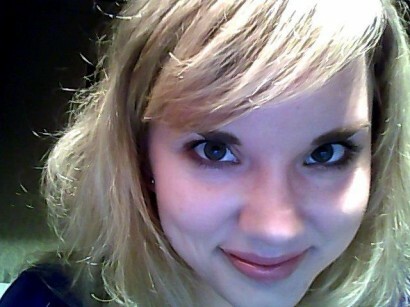 She has a long history in media, art and curation, and as a writer for media arts. She plans to present Sourefabric’s mission and history within open source technology as well as independent journalism worldwide. She will introduce the four projects that Sourcefabric is developing including Superdesk, Newscoop, Airtime and Booktype, and showcase studies of the amazing organisations who use them, and also how Sourcefabric works alongside them to build open source solutions for independent media. Ildikó Kovács is a hungarian journalist, who studied communication and media science, and was a trainee and later contributor at Figyelő, a hungarian economic journal in her college years. She also contributed to the economics column at hvg.hu, and now she is contributing at Átlátszó Center for Investigative Journalism, which is a watchdog NGO based in Budapest, Hungary, that combines investigative journalism and civic activism to promote transparency in Hungary. Ildikó will talk about her experience in investigative journalism. Péter Szekeres is a co-founder and chief researcher at Neticle Technologies, a hungarian opinion mining software, which helps firms to find out what the web thinks about their brand or service. For inkLink Neticle prepares an analysis about how hungarian stocks and their index, the BUX appear in online media. Sándor Léderer will represent K-Monitor Watchdog for Public Funds, which was founded in 2007 with the aim of creating an independent non-governmental forum that keeps Hungarian and international corruption-related cases at issue. The association truly believes in information society and the power of investigative journalism, therefore, almost all of its projects are somehow in connection with information and communication technologies as well as professional and community journalism. And last but not least Dániel Kiss will represent Ustream, an award-winning video streaming website, which was founded by John Ham, Brad Hunstable, and Dr. Gyula Feher. Thanks to MÚOSZ (The Association of Hungarian Journalists) inkLink will be held in the House of Hungarian Journalism (Magyar Sajtó Háza, 1064 Budapest, Vörösmarty u. 47/A). The event is free, but please register on our Eventbrite page. Please choose “Supporter ticket” if you’d like to donate a small amount to inkLink. Az inkLink szervezői és a meghívott szakértők április 6-án a MÚOSZ-székházban (Magyar Sajtó Háza, 1064 Budapest, Vörösmarty u. 47/A) várják a nyílt adatok és az adatújságírás iránt érdeklődőket. A részvétel ingyenes, de regisztrációhoz kötött. Amennyiben anyagilag is támogatná a szervezést, kérjük válassza a Supporter ticket (Támogatói jegy) opciót. Egyre közeledik az NLP Meetup és a Nyelv és Tudomány egyedülálló rendezvényének, az inkLinknek a napja, ahol szakértők segítségével tudhatunk meg többet az újságírás új irányairól. Az inkLink előadói külföldi és hazai szakemberek, akik maguk is adatújságírók, fejlesztők és hackerek, a nyílt adatok lelkes hívei. Ők beszélnek majd munkájukról, az online sajtó jövőjéről, izgalmas projektekről. Mi pedig addig is róluk beszélünk egy kicsit. Habár a belga Stijn Debrouwere filozófiából szerzett mesterdiplomát, az egyetem után mégis programozónak állt. Egyetemi évei alatt újságíróként és szerkesztőként dolgozott, majd volt médiatanácsadó, jelenleg pedig Londonban, a The Guardiannél OpenNews fellow. Kutatási területe az online újságírás, ezen belül az újságírói-szerkesztői folyamat automatizálása. Blogot vezet a programozásról, valamint az újságírás jövőjéről. Az inkLinkre készülő előadásában arról fog beszélni, hogy hogyan néz ki a jövő médiája, és mit tehetnek az újságírók, hogy a világot egy informáltabb hellyé tegyék. Mit jelent az, hogy OpenNews fellow? A Knight-Mozilla Opennews kezdeményezésének célja, hogy olyan következő generációs webes megoldásokat állítsanak elő, amelyek a hírszolgáltatás tényleges problémáit oldják meg. Cél továbbá segíteni fejlesztők és újságírók közösségeit az együttműködésben. A tagok a világ minden táján lévő partnerek (BBC, The Guardian, Spiegel Online stb.) szerkesztőségeiben tíz hónapot töltenek el, miközben innovatív kódokat írnak és igyekeznek átalakítani az online újságírást. Eredményeiket pedig folyamatosan publikálják saját blogoldalaikon. Friedrich Lindenberg médiatudósból lett programozó a Spiegel Onlineszerkesztőségében erősíti az Opennews csapatát. Friedrich fejlesztőként az Open Spending nevű nemzetközi kezdeményezésben azon dolgozik, hogy minden kormányzat pénzügyi tranzakciói nyilvánossá és mindenki számára követhetővé váljanak. Michael Bauer tinédzserként kezdett el programozással foglalkozni, és folytatta az egyetem alatt is, miközben orvostudományt hallgatott. Egyetemi kutatásai során jött rá, hogy viszonylag könnyen bánik az adatokkal. Innen már csak egy ugrás volt az Open Knowledge Foundation csapata, az ő képviseletükben vesz részt Michael az inkLinken. Előadásában a szervezet tevékenységéről, projektjeiről, valamint arról fog beszélni, hogy mi hasznuk van az újságíróknak a nyílt adatokból. Kristin Trethewey médiatudományt oktat, emellett pedig úgynevezett video artist, vagyis videóművész, kurátor és tanár. A kétezres évek eleje óta működik együtt más művészekkel multidiszciplináris projekteken. Emellett progresszív videózási kurzusokat tart, valamint médiairodalmat is tanít. Jelenleg a Sourcefabric, a legnagyobb európai nyílt adat projekt munkatársa. Az előzetes tervek szerint arról fog beszélni az inkLinken, hogy miként nyújt segítséget a Sourcefabric az online médiának a nyílt adatok kezelésében. Hazai előadóink között van Kovács Ildikó újságíró, aki kommunikáció- és médiatudomány szakon végzett, egyetemi évei alatt a Figyelő című hetilapnál volt gyakornok, illetve később külső munkatárs. Dolgozott ahvg.hu gazdasági rovatánál is, 2012 júniusa óta pedig az atlatszo.humunkatársa, ahol oknyomozó újságírással foglalkozik. Előadásában is az oknyomozásról, annak folyamatáról, nehézségeiről és saját tapasztalatairól fog beszámolni. Szekeres Péter a Neticle Technologies vezető kutatójaként fogja bemutatni véleményelemző technológiájukat. A Neticle-t egy fiatal szakértői csapat hozta létre azzal a céllal, hogy a jelenleg elérhető közösségi média és online sajtófigyelési szolgáltatásokon túlmutató támogatást kínáljon. Ennek eredménye egy olyan rendszer, ami közel valós időben, a webes véleményárfolyam kiszámításával tudja követni, hogy mi a véleménye a magyar webnek egy cégről, termékről, szolgáltatásról, vagy akár a versenytársakról. Az inkLinkre egy olyan elemzéssel készülnek, amiben azt vizsgálják, hogy a magyar részvények és a BUX index hogyan jelenik meg a magyar online médiában. Egyszerű statisztikai módszerekkel vizsgálják, hogy az árfolyamváltozásokat milyen gyorsan követik kapcsolódó posztok, ha követik egyáltalán, illetve van-e annak bizonyítéka, hogy a webes vélemények befolyásolják a magyar bluechipekkel való kereskedést. Léderer Sándor a K-Monitor Független Közpénzfigyelő Iroda képviseletében jön az inkLinkre. A K-Monitor Iroda a közpénzek átlátható felhasználásáért küzdő civil szervezet, ami olyan adatbázisokat és online eszközöket fejlesz, amelyek segítségével nyomon lehet követni a közpénzek útját, valamint számon kérni politikai és gazdasági döntéseket. Erről, valamint a K-Monitor egy új fejlesztéséről fogunk majd hallani előadásban. Végül utolsó hazai előadónk, Kiss Dániel a Ustream internetes videóközvetítő szolgáltatót fogja képviselni. Mi már nagyon várjuk! Addig is ajánljuk Rufus Pollock, az Open Knowledge Foundation alapítójának gondolatébresztő előadását a nyílt adatokról. We are happy to announce that a sponsor (namely Language Experts Group) turned up who will be kindly supporting a get-together for our participants. This will practically mean that we can all meet in the evening of Friday 5 April for a light chat supported by some Hungarian ale, wine or other means of light culinary and bevarage pleasure. 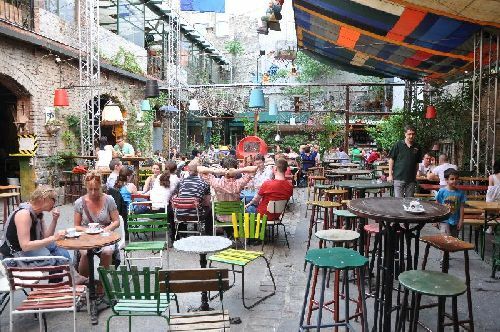 We are still organizing the venue but what we can promise is one of the town’s famous ruin pubs of the famous District 7. (Check this BBC article for further details on this local entretainment speciality). Thanks to MÚOSZ (The Association of Hungarian Journalists) inkLink will be held in the House of Hungarian Journalism (Magyar Sajtó Háza, 1064 Budapest, Vörösmarty u. 47/A). The event is free, but please register on our Eventbrite page. Please choose “Supporter ticket” if you’d like to donate a small amount to inkLink. 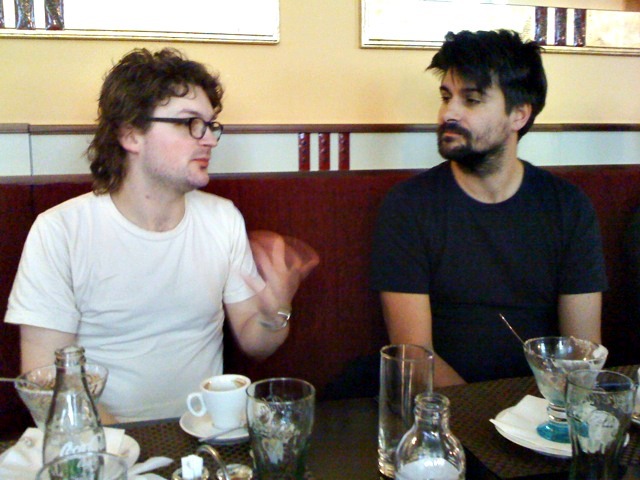 The first Hungarian data journalism and hackday will be held on April 6 2013. We have invited national and international experts to speak about digital and data journalism. The IdeaShop is a great opportunity to learn about easy-to-use tools in an informal way. In parallel with the talks, hackers will participate in a hackday and develop practical tools for journalists. We do hope you will love the event, here we publish the list of the confirmed speakers and IdeaShop participants. Stay tuned for news about the event! If you happen to need accommodation in Budapest for the days around the 6th, we have contacted a suitable four star hotel just off Heros Square and they offer a sweet deal for inkLink participants: www.miragehotelbudapest.com/ If you need the deal, drop us a line and we tell you how to proceed.